With the latest version of Malwarebytes Anti-Malware (1.75.0.1300) there are some problems with the website protection module, mbamservices.exe which is a part of the real-time protection of Malwarebytes Anti-Malware causes a high CPU usage. This problem occurs only on Windows XP systems. Malwarebytes is working on a workaround for this problem which the should be deploy later this week if all goes well with the testing of it. For now the shall be a part of a normal database update so you won’t need to install a new version of Malwarebytes Anti-Malware to resolve this problem. Start Malwarebytes Anti-Malware and open the “protection” tab. Uncheck the box next to Start malicious website blocking when protection module starts. If the problem still exists after disabling of the option “malicious website blocking” you can provide a clean install of Malwarebytes Anti-Malware. Please make sure you have or obtain your license activation information before running this procedure if you’re using the paid PRO version as this tool will remove all of the Malwarebytes Anti-Malware program files, logs, and licensing information from your computer. You will need to reactivate the program using the license you were sent via email. Download mbam-clean.exe from here to your desktop and save it. 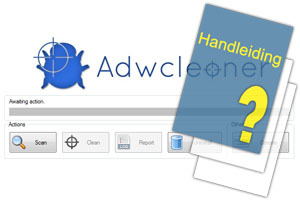 Please close all open applications and temporarily disable your antivirus and other security program to avoid any conflicts when using MBAM-clean. Locate the file mbam-clean.exe and double-click to run it and follow the onscreen prompts. 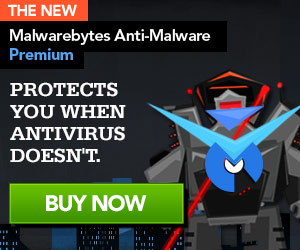 After the computer restarts, ensure that your antivirus is enabled and download the latest version of Malwarebytes Anti-Malware from here and save it to your desktop. Please make sure to uncheck the Trial checkmark near the end of the installation. Please make sure you check for updates at the end of the installation as well. Launch the program and click on the Activation button. Then copy and paste your activation ID and Key into the dialog box. This should automatically enable Protection and offer to add an automated update schedule which you should allow or ensure that you create one on your own to keep the program updated. Now setup any file exclusions as may be required for your Anti-Virus/Internet-Security/Firewall applications and then enable your Anti-Virus/Internet-Security applications. You may use the guides posted in the FAQ’s here or ask and we’ll explain how to do it.